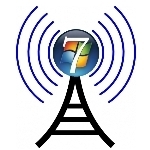 Update: If you are not able to get it working, please post your question in the forum: Get help setting Windows 7 as a wi-fi hotspot in Windows Forums. Windows 7 comes with a new feature for sharing your computers internet connection. Now, you can do it wireless. Well, As long as your system’s wireless network adapter supports Windows 7 “virtual wi-fi” feature, you can do it. Next you need to check if your network card has the latest driver to support the feature. Intel, Broadcom, Realtek and some other NIC makers provide such drivers. Feel free to put the following commands into a .bat-file for simpler and faster usage. •Open an elevated command prompt (Type “CMD.EXE” in the start menu search bar, then right click the cmd.exe link and select “Run as Administrator”). Windows Guides windows 7 wifi. permalink. When I start the wifi hotspot in windows 7, the internet in my current computers shuts down and I am unable to connect it with other computer. I have used multiple wifi hotspot software it is the same problem. When I switch off my wifi, the internet works just fine. What is the real Problem? after completing all the steps it says,”the hosted network could’nt be started.the group or resources is not in the currect state to perform the requested operation”.what should i do now? when I am trying to connect to network from other computer it keeps on saying "failed to obtain IP addresses" Any idea why? my wifi card is not respone..hostnetwork -no.how could.